If your business is like many others, then you rely heavily on dumpster rental services or trash pickup near Atlanta. Have you ever wondered what happens after the waste is removed from the dumpster? The trash that’s taken from your company’s dumpsters is transported to a landfill, and locations like these play an important role in waste management. Today’s landfills are well-managed facilities that provide a place for the disposal of solid waste. These locations are monitored, operated, and designed to guard the surrounding environment against contamination from the waste stream. Also, landfills are engineered to comply with federal regulations and use monitoring systems designed to protect the environment by checking for signs of groundwater contamination and landfill gas. 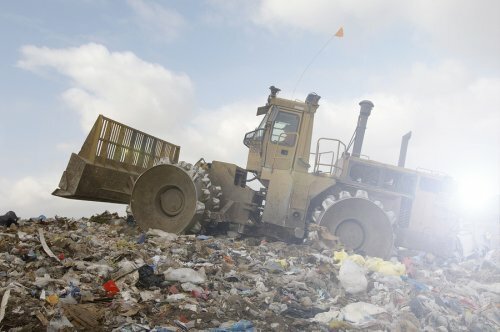 The disposal of solid waste in landfills is one part of an integrated waste management process, and modern landfills are created in accordance with strict requirements that were established under the Resource Conservation and Recovery Act. 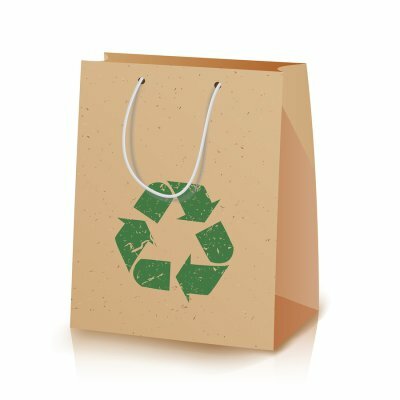 When you visit a location that has recycling bins , you’ll often see one that is designated for glass, because recycling this material offers several advantages. 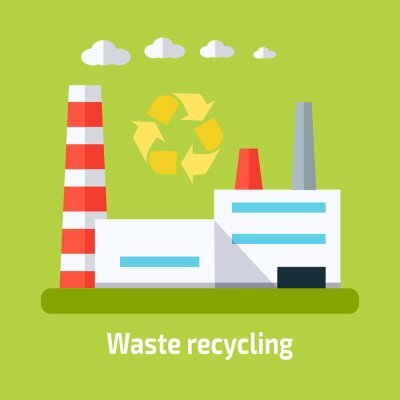 If you’re wondering if you could benefit from glass recycling serving Atlanta, then continue reading. Recycling glass can be done repeatedly. To understand the benefits of glass recycling, it can be helpful to know how it is created. Glass is made from materials that are readily available in our environment including soda ash, limestone, and sand. Silica, in the form of sand, is the primary ingredient and, when combined with soda ash and limestone and heated to incredibly high temperatures, these minerals melt and form glass. In addition to these ingredients, other materials can be included to give the glass different properties or colors. Because of the way in which glass is made, it can be processed again and again with no loss in purity or quality, meaning that it is a valuable and practical recycling material. Recycling glass benefits the environment. When new glass is produced, a significant amount of what goes into it is often glass that has already been made and recycled. This recycled glass that is considered to be “furnace ready” is referred to a “cullet” in the industry. Cullet can be substituted for as much as 95% of raw materials, making it a smart item to recycle. Also, glass provides a better material for food packaging because it is 100% recyclable, a claim that few other food packaging materials can claim. Recycling glass can help the environment by providing industries with more glass to use for packaging and at potentially lower costs. 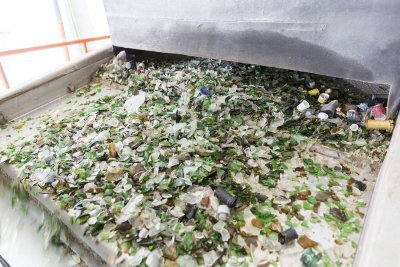 Recycling glass can reduce energy usage. The more cullet that is used in the recipe for new glass, the less heat and energy is needed for the glass-making process. By recycling glass, you can help return more of this material to the recycling system where it can be processed and converted into cullet. For this reason, recycling glass can reduce your carbon footprint.